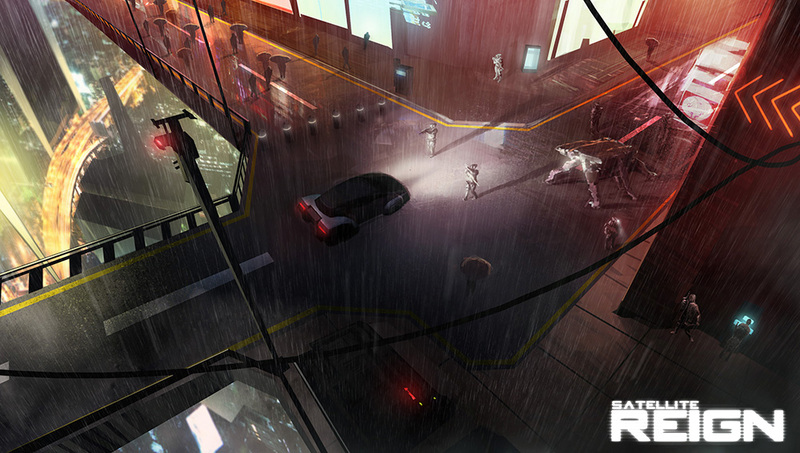 Satellite Reign, a spiritual successor to Syndicate that looks and sounds like the real thing, is now up on Kickstarter. Australian indie 5 Lives Studios is out to fill the holes in the hearts of Syndicate fans who were let down by last year's "in name only" offering from EA with Satellite Reign, a game that is technically not a followup to the Bullfrog classic but may be as close to one as we're going to get. Another game bearing the "spiritual successor" designation, Satellite Reign will place you in control of a team of four agents, each with unique skills and abilities, who square off against the forces of planet-controlling megacorporations for control of a dark, gritty cyberpunk city. It's kind of a cliched setup, and the promise of "emergent gameplay" and a "fully simulated, living city" is the sort of thing we've all heard before, but the team behind it has a certain credibility - the head guy, Mike Diskett, was a programmer on the Amiga version of Syndicate and served as the producer and lead programmer on Syndicate Wars. The Kickstarter pitch video looks awfully good, too, and the brief snippets of gameplay look very much like the real deal. The Â£350,000 ($550,000) goal is hefty for a project that doesn't bring any big names to the table, but these things don't come cheaply. And game music nerds may recognize the name attached to the first (and so far only) stretch goal, achieved at Â£380,000 ($600,000) - Russell Shaw, the man behind the music on many Bullfrog and Lionhead titles, including the original Syndicate. The usual cautions and caveats apply, but if you're a long-suffering fan of Syndicate you should probably at least take a minute or two to give it a look. 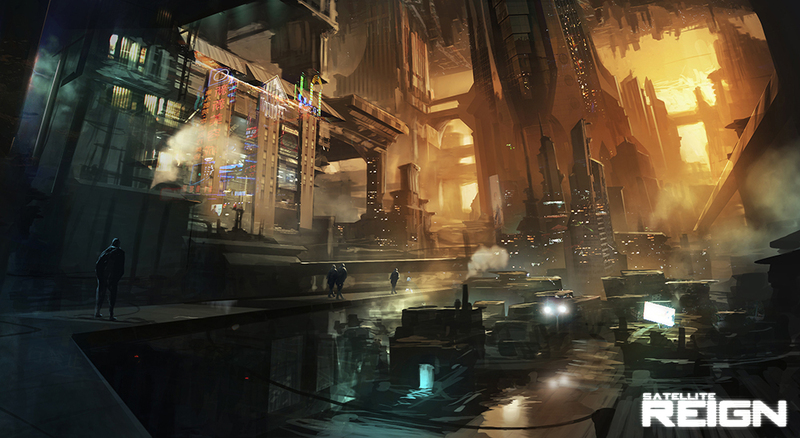 The Satellite Reign Kickstarter runs until July 28.